A funeral scheduled through ChurchFunerals Direct is a traditional, complete, full-service funeral just like you’re accustomed to. It includes everything listed below and is normally conducted at your local church. However, the funeral can be conducted almost anywhere. And if you do not have your own church, you can use one of the churches in our network right in your own hometown. Now, because of ChurchFunerals Direct, you can get a funeral for a lot less. FUNERALS FOR A LOT LESS! *All prices are subject to change without notice and reflect Preferred Partner Program savings, if applicable. Prices may vary and are not guaranteed or set by ChurchFunerals Direct, Inc. Final prices are determined by the funeral home providing services. Casket shown is representative only and may not be the actual casket provided. 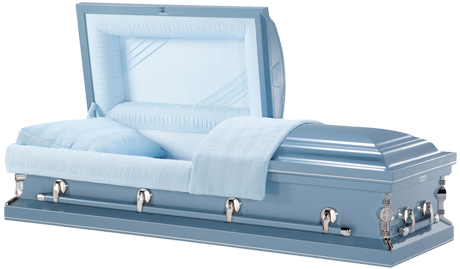 Additional optional features and all cemetery items and costs such as plot, marker, outer burial container, and grave opening and closing not included.